Doe eyes and platinum curls, Camilla Cream is part Botticelli Venus part girl next door with a whole lot more. 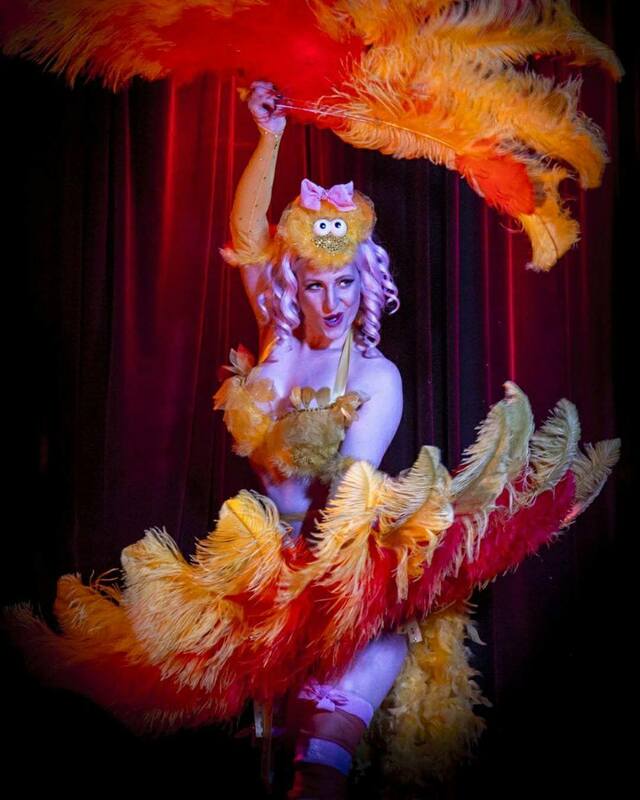 Camilla’s brought her fun feathers to the Australian burlesque scene for just over four years. A late bloomer to performance, she started dance lessons in her late twenties and upon discovering burlesque combined her versatile talents with her love of feather fans. A producer and performer, Camilla even holds a World Record for the most fans used simultaneously in a burlesque performance. 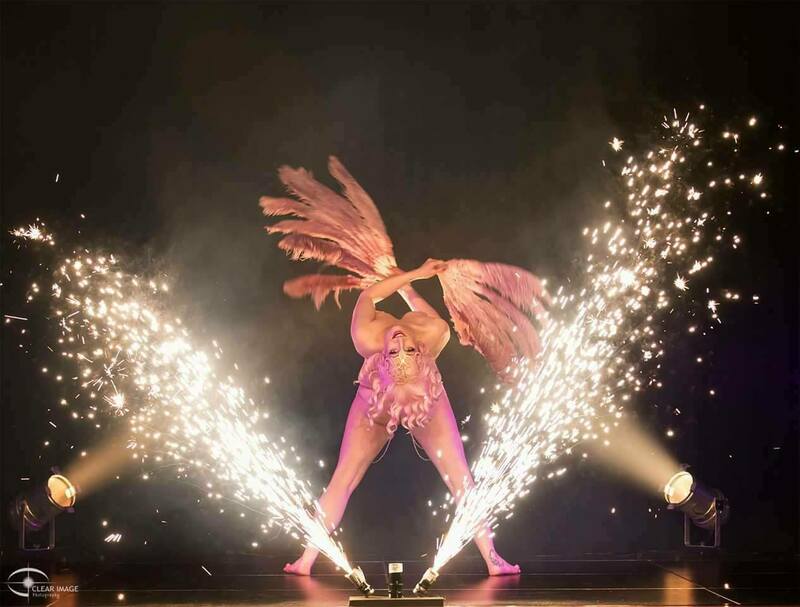 She’s headlined interstate shows from Big Bang Burlesque on the Sunshine Coast to Adelaide Fringe Festival. This national jetsetter made her mark on our most southern state taking out the crown for Miss Burlesque Tasmania 2018. Alyssa Kitt caught up with Camilla to talk about Peggy Lee, playing the violin and making audiences all around Australia cream themselves with laughter. You’re an established performer, how long have you been performing burlesque. 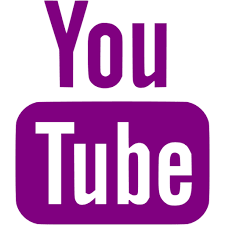 What was your first experience of burlesque? I have been performing Burlesque for a bit over 4 years now. I was a super late bloomer to performance, only beginning dance lessons in my early 20s. The opportunity for me to perform as a 20-something with limited training was rare, if there at all. A friend of mine took me to a local burlesque show for the first time and it was there that I saw gorgeous classic burlesque performers, but also Bijou’s neo Mailbox routine. I thought, ‘ooh! This looks like fun! It’s not a cookie-cutter, one-size-fits-all type genre of performance, you could be silly and yourself’ and I liked it instantly. After taking countless classes, lots of research and watching numerous shows, I was ready to take the solo plunge. It was the first time I actually didn’t feel nervous right before I went on stage, that spoke volumes to me. It was as if this was what I was missing, what I wanted to do. And I guess, as they say, the rest is history! 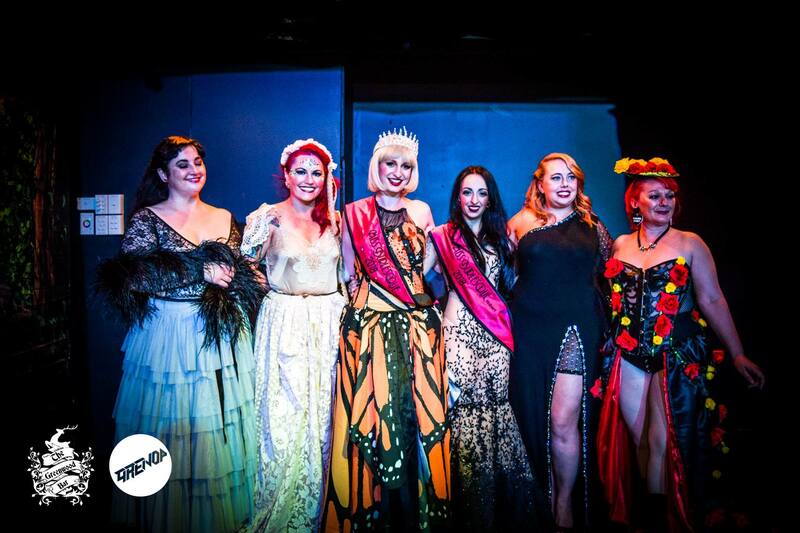 This is your first time competing in Miss Burlesque Australia? Why now? No, I have never felt ready before this year, being late to the dance/performance scene, I felt I needed a few years under the belt to be comfortable to stage before entering a big comp like this one. 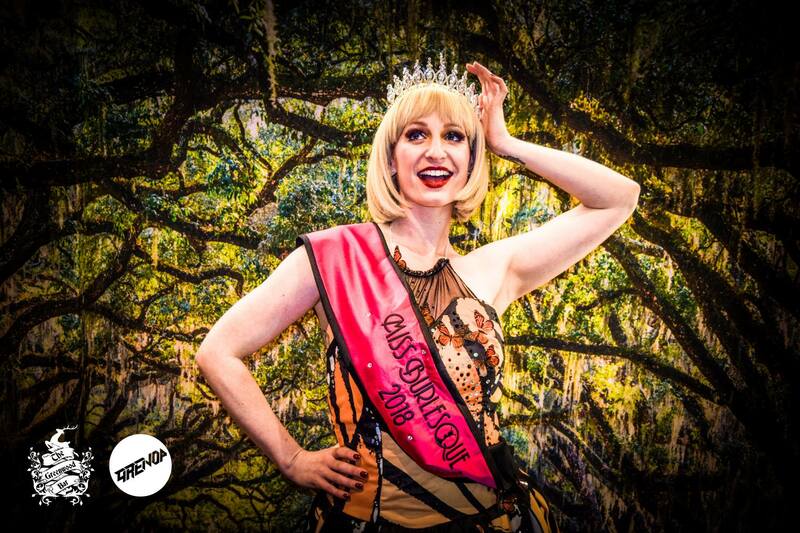 What made you want to enter Miss Burlesque Australia this year? I felt like my performance was at a level that was good enough to compete and I liked the idea of the new traditional rules. I also really liked that the competition now only had 2 acts instead of 3 – that was really appealing. Have you competed in other competitions – burlesque or otherwise? I entered in Burlesque Idol last year and came runner up in Melbourne, but other than that, I haven’t competed in other competitions. It’s a whole new world to me! I have to ask about your performance background because I didn’t know you were a singer! Oh yes, I do a bit of singing here and there. I actually have a whole solo tribute show to Peggy Lee! I have a bit of dance training. I took casual evening or Saturday classes once a week for about 6 years, but no full time courses. 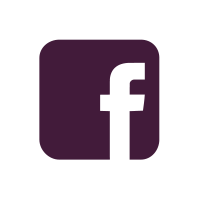 I trained in music and violin for about 7 years and taught violin solo students for a year. In my primary school teaching experience I have taught drama, dance and music. 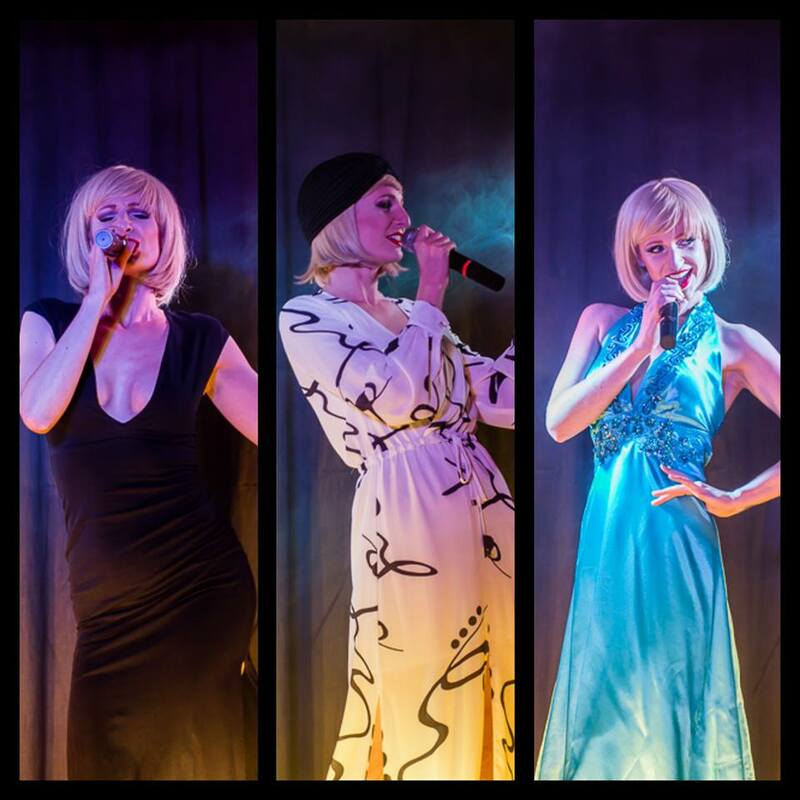 You also produce your own event – what are some of the other highlights of your burlesque career so far? I do! Le Grande Cabaret has had a fabulous run in Melbourne and very successful season in Perth for Fringe World and now I am embarking on a new venture with my dance partner Lord Lovat as Platinum Honey to create Tequila Tease, which will be a super fun monthly show in Melbourne. Other highlights have been 2 World Records (being part of Burleskathon and my own for the most feather fans used simultaneously in a routine). I also am super lucky and proud to be asked to perform in so many interstate shows that take me all over Australia from Adelaide to Canberra to the Sunshine Coast. How did you prepare for the competition? What was your game plan/ goals? The biggest thing was to have a great support network around me; I had friends, mentors and my partner there for things such as feedback on routines, helping glue rhinestones and being a shoulder to cry on when things got a bit overwhelming. They were imperative for my preparation for the competition. I also have a wonderful friend and costume creator who runs Maid of Madness. We had many long phone calls about designs and outings fabric shopping. She helped make my dreams a reality. Your traditional routine is inspired by none other than Peggy Lee – can you describe it for me. Does your Peggy Lee traditional routine tie into your solo tribute show to her at all? Umm, no not really. The show is called ‘Fever Pitch – the sultry story of Peggy Lee’ and it’s a tribute cabaret to her life through her songs. I move backwards through her journey from death to birth, telling stories of her life and singing songs from that point in her career. There’s a couple of costume changes, no burlesque, all storytelling and song. What is it that draws you to Peggy? I like Peggy Lee because she made a point of being different in her era of loud big band, she wouldn’t compete with noise and so her trademark low purr song style was born. I guess I kind of use that in my traditional piece – using smaller, more graceful movements. But I did take a lot of inspiration from movies with Ginger Rogers and Fred Astaire, oh and of course Rita Hayworth. The beautiful ballroom style scene were heaven! What did you do for your unique and how do you think it will set you apart going into the grand final? I absolutely love using feather fans and have combined my love for them with a bit of comedy in a tribute to much-loved Sesame St character, Big Bird. Once I felt comfortable with burlesque, I liked to see what elements of my own personality I could marry into my acts. There’s something about making an audience laugh that is really fun and exciting. So humour is a big element in this routine, as well as some fun fan work. Did you enjoy your Tasmania experience and would you recommend entering this State Final? I loved getting to know the girls in the Tassie State Final, I had met a couple of them before at previous shows, but it was wonderful to have a collective of performers from all over Australia showing Launceston what creative minds the nation has.